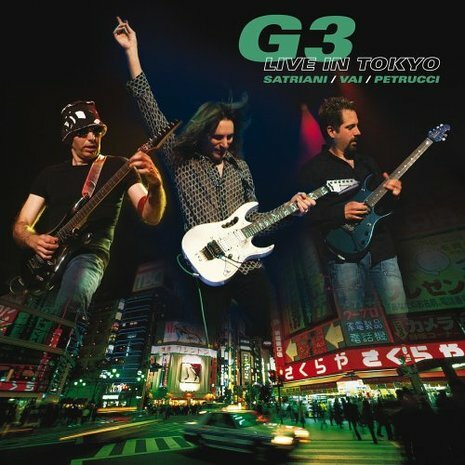 Steve Vai, Joe Satriani, and John Petrucci Release "G3: Live in Tokyo"
G3: Live in Tokyo is another G3 live performance which featured John Petrucci along with Joe Satriani and Steve Vai in the 2005 G3 tour. It was released as double live album as well as DVD with extra material: G3 Soundcheck (15:01) featuring commentary by Joe Satriani, Steve Vai and John Petrucci. In this tour, Petrucci presented his debut solo album Suspended Animation. 3. "The Audience Is Listening"
11. "Smoke on the Water"